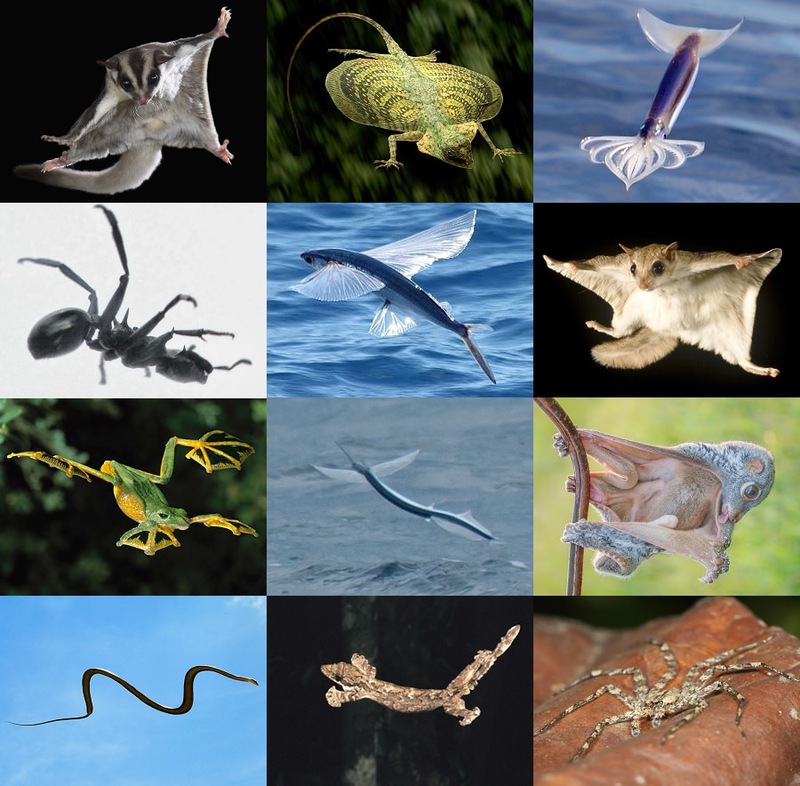 Can you find the gliding animals to match each description? Gliding flight is falling at an angle less than 45° from the horizontal with lift from adapted aerofoil membranes. This allows slowly falling directed horizontal movement, with streamlining to decrease drag forces for aerofoil efficiency and often with some maneuverability in air.